Popular Japanese site Goo Ranking took a poll of its community of netizens, and compiled a list of the top 10 most iconic Japanese characters, hailing from all forms of media. Beloved all across the world as the “warrior of love and justice”, it’s no surprise that Sailor Moon would make it on this list. As the first “shojo” heroine to be successful in the West, her iconic sailor uniform and pretty weapons inspired tons of merchandise that expands far beyond toys to fashion, make-up, and a smartphone. She even earned a special ride at Universal Studios Japan! Honestly, it’s surprising that she doesn’t rank higher. Where Sailor Moon represents the cute and romantic, Godzilla represents the intimidating and violent part of Japanese popular culture. This big unfriendly dinosaur has been destroying Tokyo and wooing fans for more than 60 years; he’s even grown exponentially in physical size! Who better to be chosen to represent Japan than one of the first characters to bring international attention to Japanese productions? With several dozen series, movies, and OVAs over their almost 40-year history, Gundam mecha are iconic members of the Japanese character collection. Their hundreds of designs have not only been featured in numerous anime, movies, manga, and video games, but their model kits have a huge following all across the world. In recognition of their legacy as the pioneer of the “mecha” genre, a life-size Gundam replica has even been installed outside a Tokyo shopping mall. Clearly it deserves this spot in the top 10. The ever-powerful Saiyan who’s always saving the world is a beloved character all across the globe. Making his first appearance in the manga Dragon Ball in 1984, and still appearing in anime series to this day, Goku will always inspire us to be kind and work hard, and that’s why he’s at number six (though I might not be the only one who thinks he should be ranked higher). Though arguably one of the least internationally known characters, Anpanman, with his red-bean paste filled bread for a head, is hugely popular in Japan among young children. His story started as a series of picture books in 1973 and continued for 40 years until the creator passed away. He also has a television show, and his face appears on every possible kind of merchandise offered for kids. Knowing this, it makes sense that he would make number four on the list. Now here’s an internationally renowned character! Our favorite Italian former plumber-turned-princess-rescuer deserves to be number three on the list because he is the titular character of more than 30 video games across several video game consoles over more than 30 years. The Super Mario video game series is the best-selling game series in the world, and its red-costumed, moustached Mario is well-loved for it. Pokémon’s most famous creature, Pikachu, has become such an iconic phenomenon that the little yellow creature is recognizable worldwide by people of all ages. So extensive is the popularity of this Pokémon that the annual Pikachu horde event in Yokohama attracts huge crowds to the city. With Pokémon continuously expanding its legacy to more than 800 original creatures, over 1,000 anime episodes, numerous games, and a very expansive trading card game, it’s no wonder that Pikachu, who has maintained its singular popularity for more than 20 years, should rank at number two. In spite of Doraemon perhaps being less internationally known than the other characters on this list, he really does deserve the top spot. This robotic cat who came back from the future to aid a little boy in the hopes of improving the life of his descendants made his first debut in 1969 in manga form, and has since gained so much popularity among fans across Asia that he was dubbed the “anime ambassador” by Japan’s Foreign Ministry. Much like Micky Mouse in the U.S., Doraemon has popularity with kids and adults alike, and you can buy a myriad of products, from shoes to dishes, with Doraemon’s face on them. 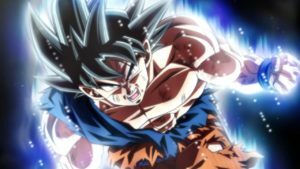 Next story Dragon Ball Super Episode 128-129 Detailed Spoilers! Previous story Jiren Has Been Damaged For The First Time – DBS 127!